The Traveler is reminiscent of Italian ice, cousin to the world famous sorbet. It combines the sweet flavor of blood orange with the mellow goodness of mango and is finished off with tart lemon. 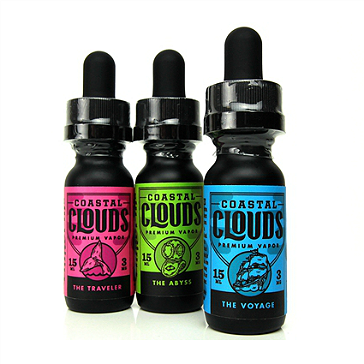 Finger-licking good, The Traveler gives off extremely dense clouds packed with flavor, perhaps this is why the flavors just explode in your mouth! The quality of The Traveler isn't just about how it tastes, the whole inhale/exhale cycle is perfect from the beginning to the end, right down to the nose exhale. The Traveler is a nostalgic blend that takes you back to the hot summer days of your childhood with a savory fruity and refreshing taste you will truly cherish.